It’s been a while since I’ve posted a few reviews and in the spirit of catching up, here are THREE mini-reviews for three summer blockbusters that you may not (or may) want to miss. Snowpiercer– One of the lesser known films of the year that definitely deserves more attention than it has received, Snowpiercer is an interesting film put out by writer/director Joon-ho Bong and is a rewarding watch. Included in lists such as this one on IMDB, Snowpiercer undoubtedly exists in the categories of “The Unheard Of” or “The Unseen” for many but that hopefully will change in the near future. Set 17 years in the future, Snowpiercer is the name of the train that contains the inhabitants of a grim world, whose passengers, locked in an endless loop of class (economic) and cold (environmental), have survived but move towards a future no more certain. Constantly moving, but going nowhere…the train serves as an engine to present economic, social and philosophical dissection for digestion. Reminiscent of classics such as 1984 and Animal Farm mixed with a few episodes of The Twilight Zone and elements from films like Sucker Punch and Elysium this socio-statement surprises on many fronts including the amount of action and violence it contains that keeps the movie going on a pace towards the end. Visually, it works very well in painting the environment. The train is a character in and of itself along with the eccentric or eclectic characters that inhabit its cars. Along with impressive performances from Chris Evans, Tilda Swinton, Jamie Bell, Octavia Spencer, John Hurt, Alison Pill, Ed Harris and more, the film is full of characters and commentary. The problem with the film is that there are too many additional unacceptable elements that viewers are forced to either swallow or shake their heads at. I’ll just give one as an example because so many others will amount to spoilers. Example: The world is practically destroyed and for 17 years everyone has been travelling on this train with a perpetual-motion engine that keeps it powered and warm, etc. If that’s the case…then why haven’t they stopped the train and built a camp, powered by that perpetual motion engine, and keep everyone safe instead of living with threat of derailment due to the harsh winter conditions? (and that’s a MINOR issue with the film.) There are several other elements such as this that plague the plausible acceptance of the situation. However, that cannot take away from the boldness of the filmmaker (who, reportedly, was told to “dumb down” the film for American audiences and then received a limited US release when that “suggestion” was refused) and the presentation of the fight for freedom, equality, life and limb. 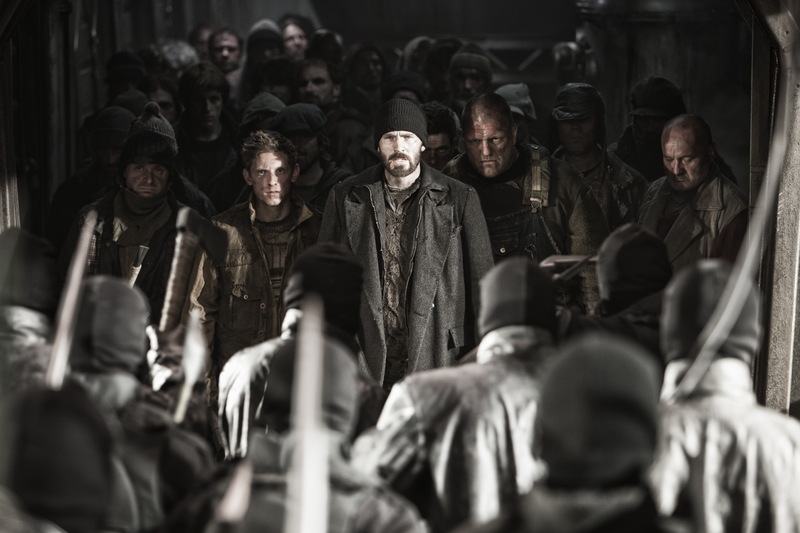 I enjoyed Snowpiercer quite a bit and recommend it as one of the required watches of the year. It keeps you engaged, interested and curious, all the while observing the underlying message that pierces through the snow and to the hearts and minds of the viewers. 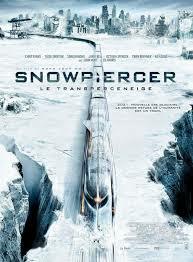 Snowpiercer 4 stars out of 5. Watch it. 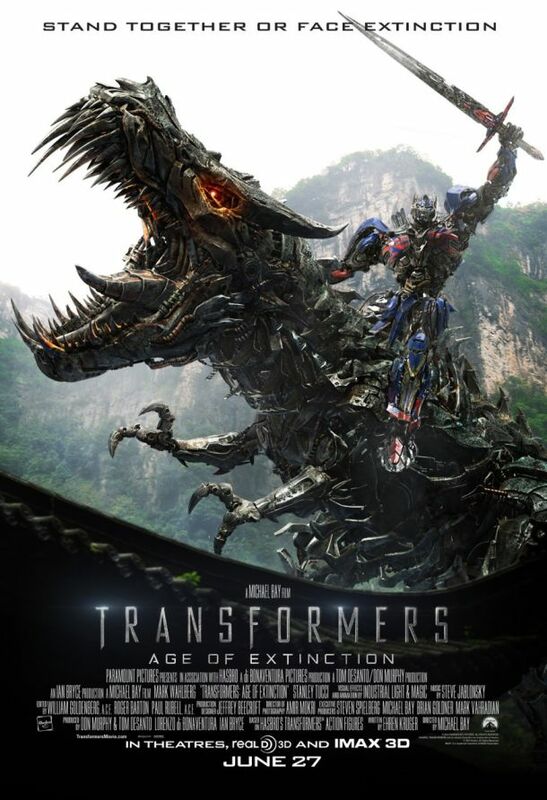 Transformers: Age of Extinction– Hope can be such a unrelenting and terrible mistress to whom we willingly enslave ourselves at times. That can be no more truer than when describing the experience one may have while watching this fourth installment of a franchise that went from amazing to bad once the opening credits began for the second one. And the worst part about it all is that, while we know and expect Michael Bay’s films to be all flair and explosions and no true story or plot…we still hope (see, there she is again…the cruel mistress) that the continuing sequels will offer more and “transform” into the beloved series of our childhoods. Knowing full well that they won’t we still end up disappointed. This, my friends, is the case once again…not surprisingly…with Transformers: Age of Extinction. I’m not even going to take a sentence or two to discuss the most blatant use of product placement in a movie ever since E.T. 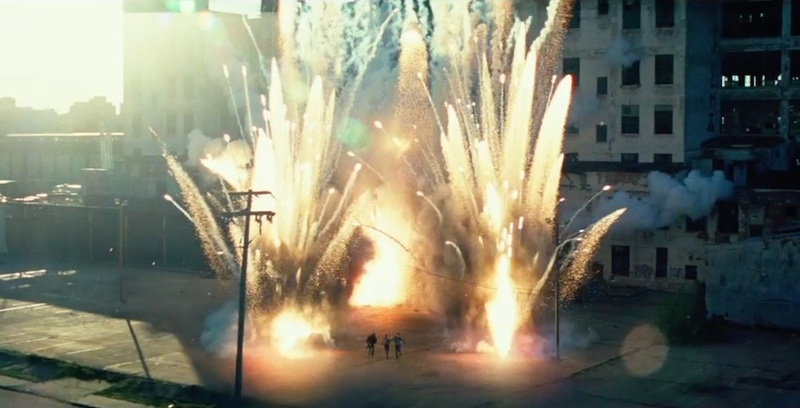 I mean, we all know how Michael Bay could afford to spend so much on a movie that nothing happens in. Realize that when you purchase your ticket, you are paying for a 3 hour commercial session with a few robots and cars in between, a few fight scenes, several “scratch your head” moments and no progressive story. It’s sad really, that Bay can’t take a franchise that already has three films and turn it around. 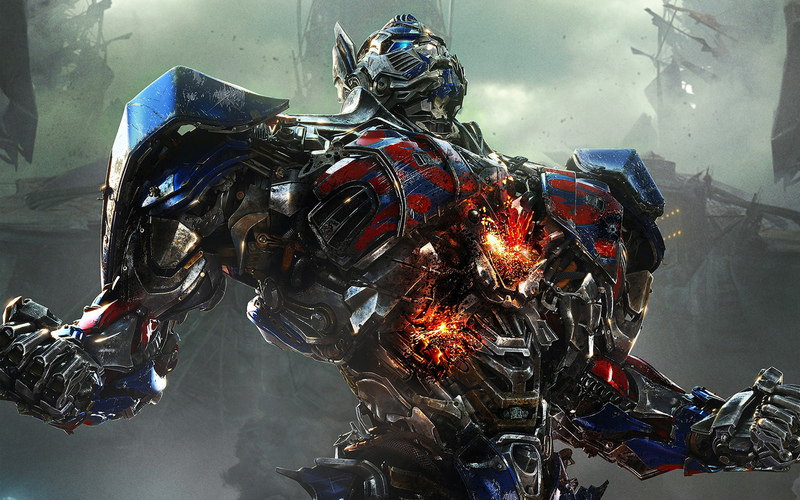 Here’s the good, bad and ugly of Transformers: Age of Extinction. Good: Kelsey Grammer, Stanley Tucci, Mark Wahlberg, slowed down action sequences, Optimus Prime, great CGI and cool cars. Ugly: Terrible story with more holes than swiss cheese, Optimus Prime’s continued persistent need for self-sacrifice, the ending, the use of dinobots, and everything else mentioned in the “bad” section above. Dawn of the Planet of the Apes– One of the biggest anticipated sequels of 2014 (a movie year that is FLOODED with sequels), this dawn shines the light on the land of sequels and brings one that audiences deserve. 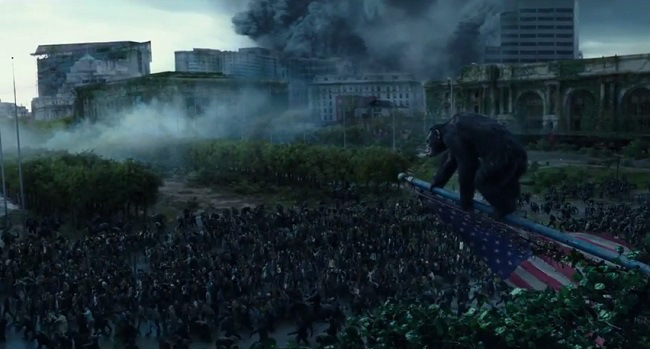 It’s been three years since Rise of the Planet of the Apes (my review of it here) hit theaters and the sequels brings us up to speed on the events that have taken place during the 10 years that have transpired in the story. Appropriately titled, this film continues the storyline of its predecessor and the saga takes shape as the time of the Apes’ dominance is near. When the cast was announced to not included James Franco (who I enjoyed in the first one), I was admittedly let down. But after seeing the film and also seeing how the humans are second in importance to the Apes and how the cast of Jason Clarke, Gary Oldman, Keri Russell, Kodi Smit-McPhee and more perform so well, I didn’t mind. It is interesting that in a film that pits humanity against Apes…it is the Apes that you find yourself cheering for most. Somebody give Andy Serkis an Oscar already! His motion-capture work is uncanny and his second time as Caesar is no less stellar than his first. Truly one of the most under-acknowledged actors of our time since we rarely see his face (much like Ray Park). 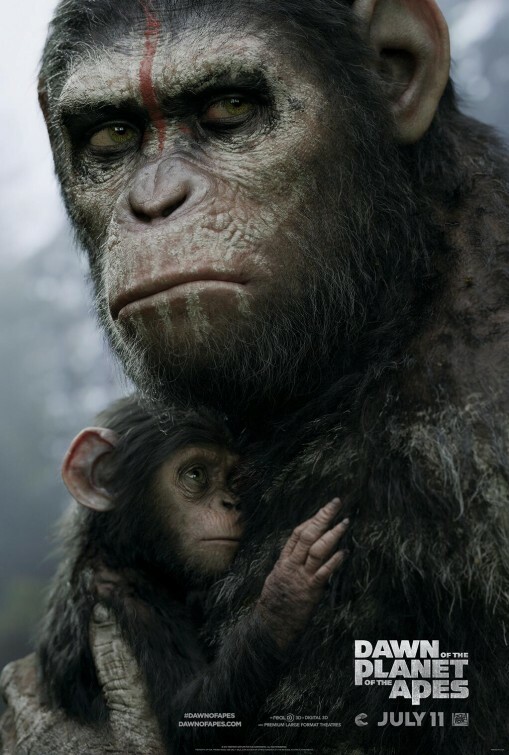 Serkis’ work brings life to the main character and keeps audiences tied in to the development of the story and the struggle of the Apes, the humans, the co-existence of them both and the fight to survive each other. One of the best elements of the film is the cinematography. Used to tell the story in unspoken fashion, a simple camera pan teaches audiences how time has passed, via vegetation that has taken over a suburban area, or vast scenes of vacated buildings or the expanse of the home built by Caesar in the northern Californian woods. The cinematography, paired with the story that has a pleasantly used mix of Shakespearean, war-film and sociological elements, creates a sequel that is both delightfully enjoyable and interesting. And it finally brings in more of what was possibly hoped for in the first: more action and fighting. Ultimately a story of progression with undertones of family, connection, friendship, betrayal, survival and symbiosis, Dawn of the Planet of the Apes keeps its focus and serves as one of the best bridging sequels I’ve seen in a long time. The dawn has come, the sun has risen on the franchise’s empire…I’m not ready for it to set. Can’t wait for the next one and only hope it isn’t another three years away. 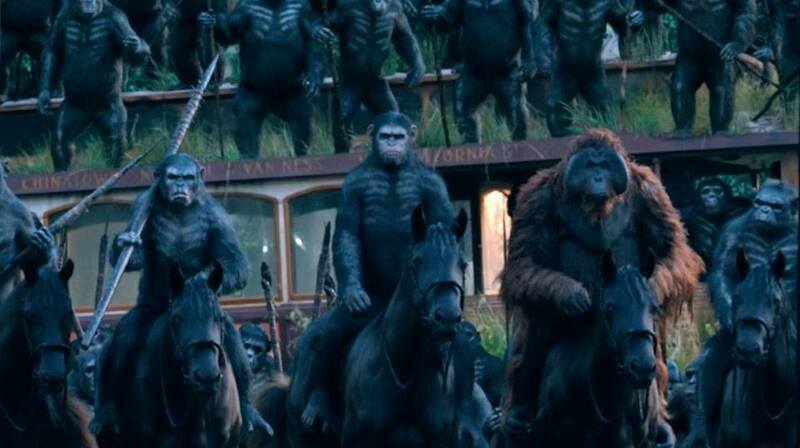 Dawn of the Planet of the Apes: 4.5 stars out of 5. Transformers sounds… just like what I would expect. Now the question is, did it manage to be worse than the 2nd one? Well, I know I personally have no desire to see it. I haven’t seen Dawn of the Apes yet so I didn’t read your review there. But we pretty much agree on the other two movies are your scores for each film are identical to mine. 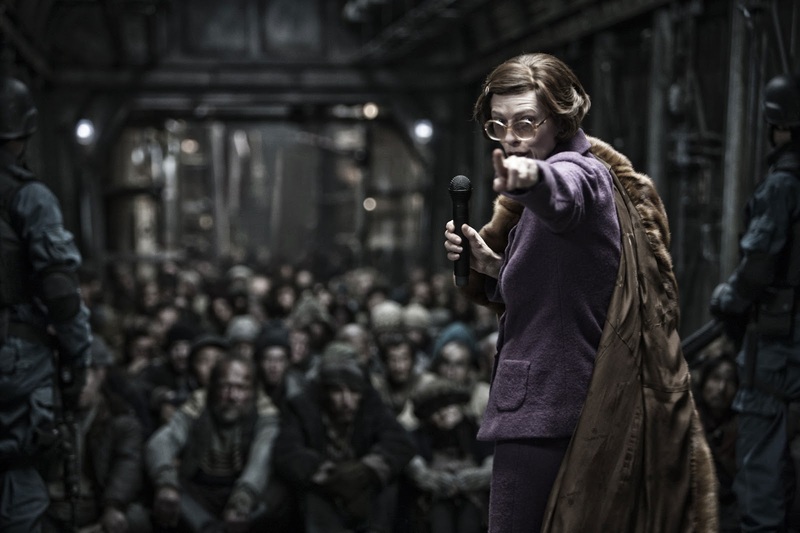 As for some of the unanswered questions on Snowpiercer, I chalked it up as the way our current government or any government for that matter works. We questions why they wouldn’t or couldn’t do certain things to make things better for us the citizens, yet they refuse or won’t do it! So in a way the movie is very accurate, LOL. Hey Ted, thanks for popping over. A lot of my “what if” questions actually had little to do with the set up of matters working and had more to do with the common sense/human nature aspect, but in the end…in the world established by the storytellers, I still enjoyed the film very much and the distinctions it made. Hey thanks for the link love T! Y’know I have the same thought too about Snowpiercer, why not just stay put instead of going nonstop on a train? But then again that’s part of that ‘suspension of disbelief’ thing in a sci-fi concept. I didn’t mind it once I just accept the situation, y’know, and just focus on the events that’s happening in the film. I totally agree w/ your rating on the latest Apes film. I still think the first one is excellent and this is definitely a stellar follow-up that also works as a stand-alone film. Great review. The film is an excellent visual and conceptual improvement of the first and that’s impressive in its own right. And Andy Serikis retains his Title as the master of motion capture. Thanks for stopping in to read them after man. I appreciate it. Yeah, Serkis did an excellent job once again. Will the man ever get an Oscar nod?